Now that I teach older kids, I knew my old pranks weren't going to cut it. 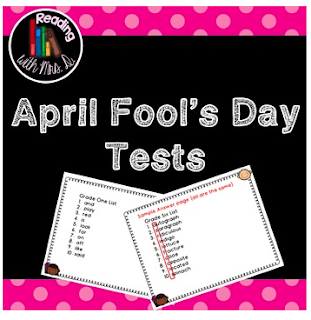 In the past, I've done a ten word spelling test that reads "This spelling test is really an April fools day joke". I usually combine that with a word search where you can't find any of the words and the ever so classic worksheet that instructs the students to read all of the directions before they begin. This year I decided to change it up a bit for my fifth graders! I started off by borrowing the National Foot Check Day idea from Denise at Sunny Days in Second Grade. I told the students that a podiatrist was coming to check the health of their feet. Each student had to take off one shoe and clean their foot with a baby wipe. To make it seem more legit, I pretended to be disgusted and urged them to please rest their bare feet on top of the baby wipes. 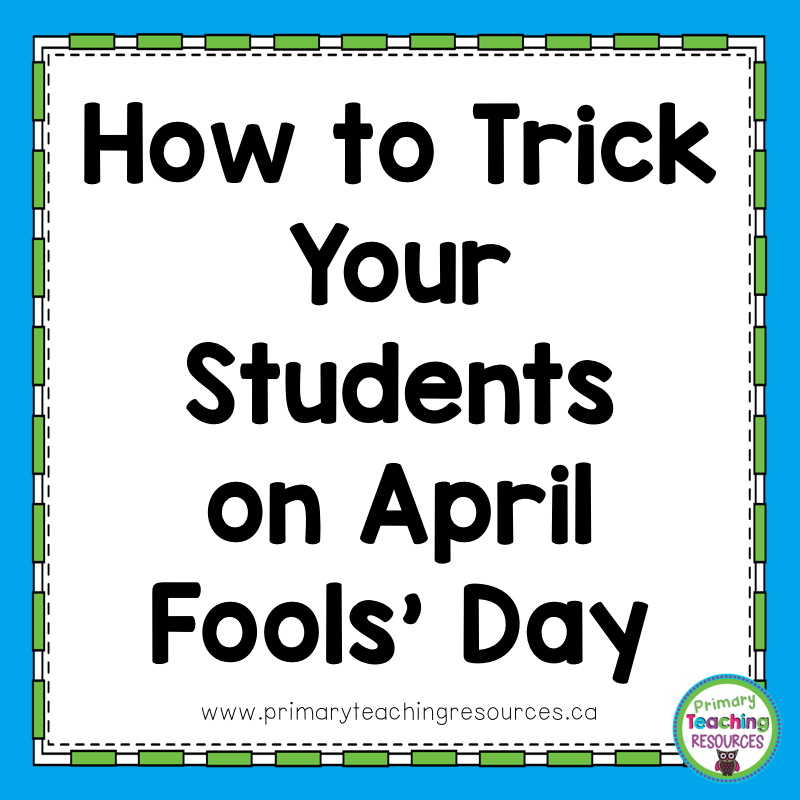 Some students were a little suspicious about why this was happening on April Fools' Day, but most of them went along with it. 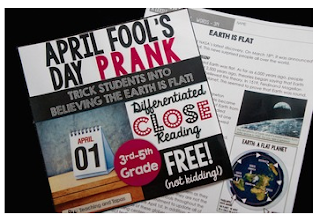 As a distraction, I had my students work diligently on Teaching and Tapas' comprehension activity about how the Earth is flat. Since this was obviously fake, they seemed to go along with the foot shenanigans for a bit longer. "Why does it smell in here?" "Why did you take your shoes off?" The kids told me how to respond. They wanted the hacker to prove he could really see us by indicating which kids weren't wearing shoes. Luckily, I had provided the "hacker" with a list of kids' names and some other important information... The hacker pretended to be a parent who was observing the students' behaviour. In the end, he "admitted" to being the principal (he wasn't). The kids ate it up! I really wish I had photos! At this point, it was close to recess and our podiatrist still hadn't shown up. I let the kids in on my prank and allowed them to put their shoes back on. As the students left for recess, I kept several back to ask if they wanted to help out with the next prank. They were more than eager to participate! After recess I announced we would have a spelling test. Because I figured the kids would be suspicious by now, I had my helpers pretend they had studied the night before. They managed to convince the others I'd told the class about the test earlier that week. I haven't uploaded a copy of the words I used, but Reading with Mrs. D has a great freebie in her TpT store. During the test, I went really fast and refused to supply sentences for the words. I had asked one student to keep calling out for me to repeat the words. Every time he did, I pretended to get mad and assigned him a behaviour point. He even pretended to argue with me and tried to leave the classroom. The other kids were in shock! Afterward, I had everyone highlight the first letter of each word on the test. Sure enough, it spelled out "April Fools"! Next, we did a following directions activity from Joy in the Journey. I prefaced it by saying, "You know I've been pranking you all morning. If you don't follow the directions exactly, you will end up looking really silly in front of the class." So, I'm sure you can guess what happened next. Some of the kids followed the directions but others ended up yelling out their ages and skipping around the classroom. 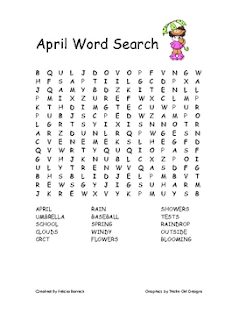 I also had a couple of word searches for the students to complete. One of them was a regular word search with an April Fools' Day theme from Reading Tree 123, and the other, from Spunky Sprogs, was the kind where you can't locate any of the words. Lots of kids brought the "hard" one home to trick their parents. At the end of the morning, I thanked the students for being good sports and had them line up for brownies from our SEA (Special Education Assistant). 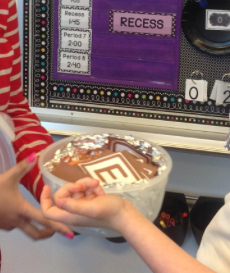 The brownies turned out to be "brown Es". I've never seen such looks of disappointment! Thankfully, there were real brownies afterward! 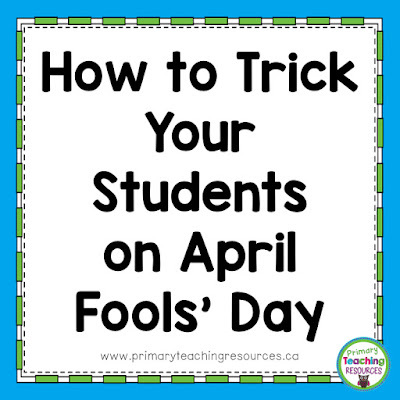 What did you do for April Fools' Day in your classroom? I'd love to hear all about it! Thanks for your kind words, and for sharing such a great freebie! Jessica, it was easy to prepare, thanks to all the great freebies I found on TpT! 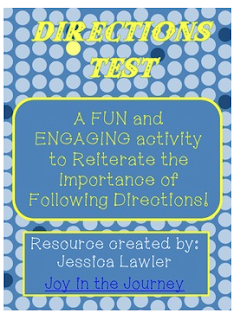 Thanks for sharing your following directions activity, so I didn't gave to design my own!